This Easter weekend we took the girls to see the new Disney on Ice extravaganza - Worlds of Fantasy. Lara was most looking forward to seeing the Toy Story 3 part of the show as she really enjoys the movie and likes lots of the different characters. 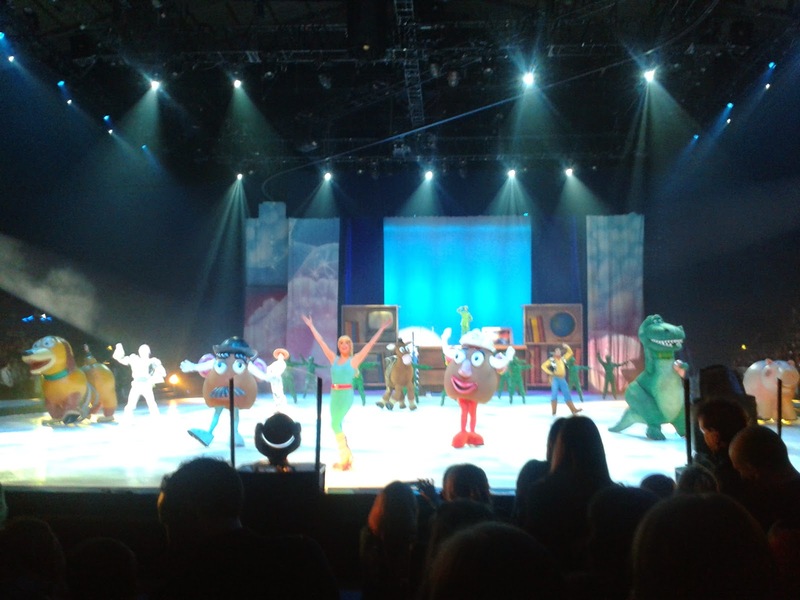 Almost the whole of the second half of the show was dedicated to retelling the tale of Toy Story 3 in a shortened form, on ice - it was noticeable that there were parts of the story that had been subtly altered to cater for a younger audience (slightly less scary characters and no mention of Ken's late revelation later in the movie!). We loves all of the characters. I was particularly impressed by the inflatable characters such as the pig and slinky as I still couldn't quite work out whether there were real people inside, or whether they were purely robotic.. I noticed one fall over accidentally and they got up very cleverly! Both my girls thought this part of the show was awesome! 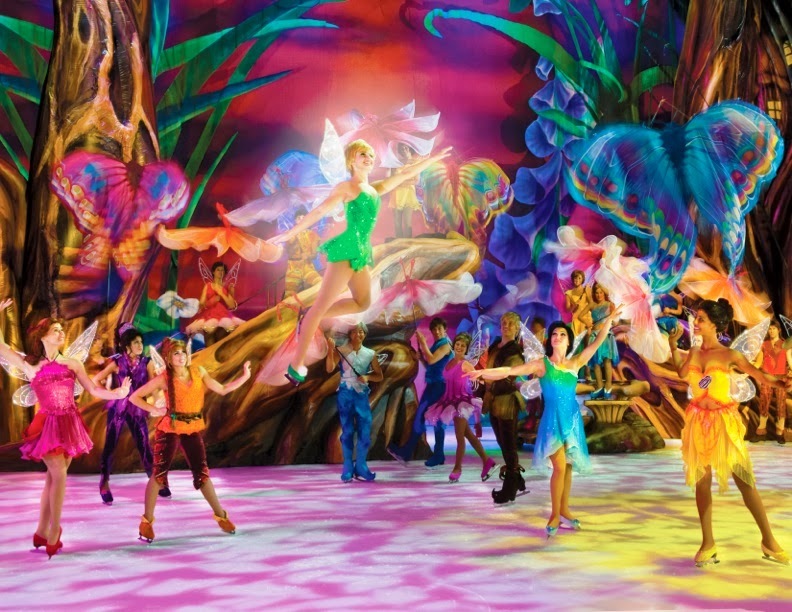 Tinkerbell and Disney's Fairies made an appearance in the show with some beautiful choreography and lots of fluttery wings. We loved seeing the fairy Queen floating above the show suspended from the ceiling. For me, the most impressive part of the show was the Cars spectacular. These were real cars - full scale, floating about and dong skids on the ice. 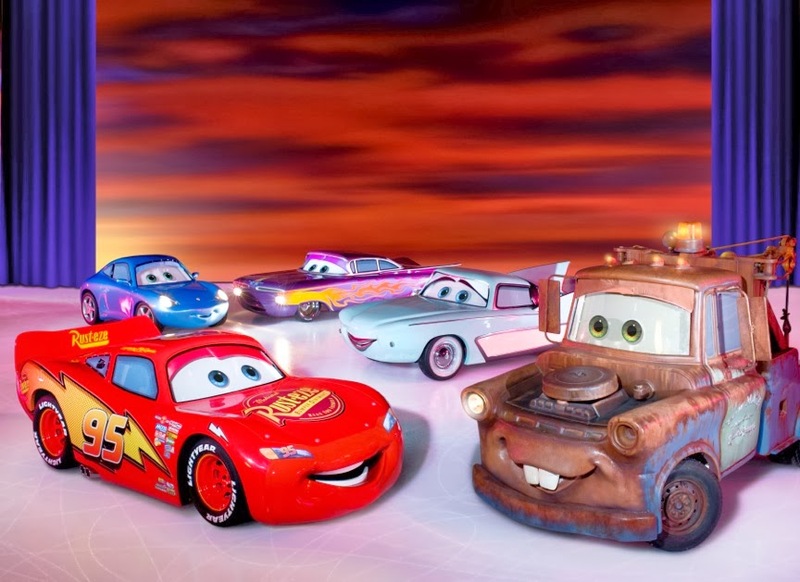 This was the first part of the show and I felt it was a little lacking in story as they were trying to set up the "worlds of fantasy" theme but I wasn't really paying attention, I was just wowed by the cars on the ice and how well they were all steering out of each other's way. Very clever indeed. Wembley Arena was a brilliant venue - well organised, quite calm and easy to navigate and so much easier to get to than I remember in the past - the Olympic enhancements have made it into a great venue that I'd definitely go back to. Both of my girls sang and clapped and danced the entire way through the show. We got the occasional wink or wave from a Disney princess and this made the girls very very happy! I can't put into words how magical the whole experience is. The tickets themselves represent very good value for money but we warned, food and souvenirs are priced with a Disney price tag - you may want to start saving for Christmas now! Tickets are available from Ticketmaster from around £13-£43 per person. 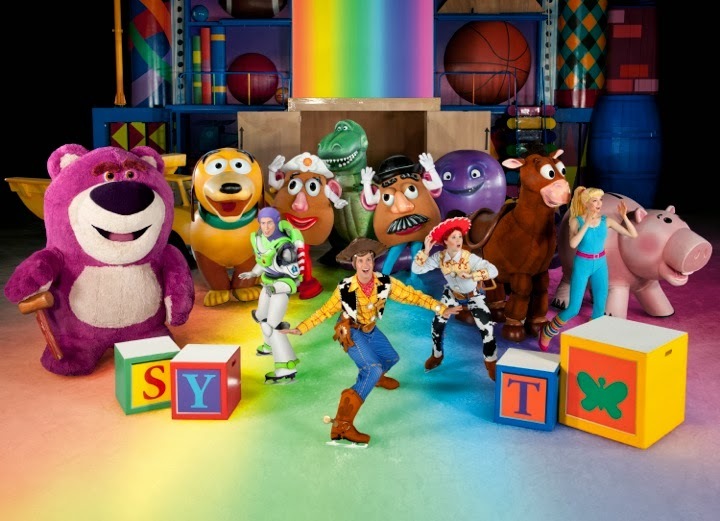 Later this year, starting in the Autumn a really special Disney on Ice show is coming to arenas near you - Disney on Ice presents 100 Years of Magic will celebrate 100 years of Disney animations and will bring together all of our favourite Disney characters. The show runs from the 26th September to the 5th January and is touring the country. Early bird tickets are available now. I can't wait! Disclosure: we were sent tickets for the show to perform our review.